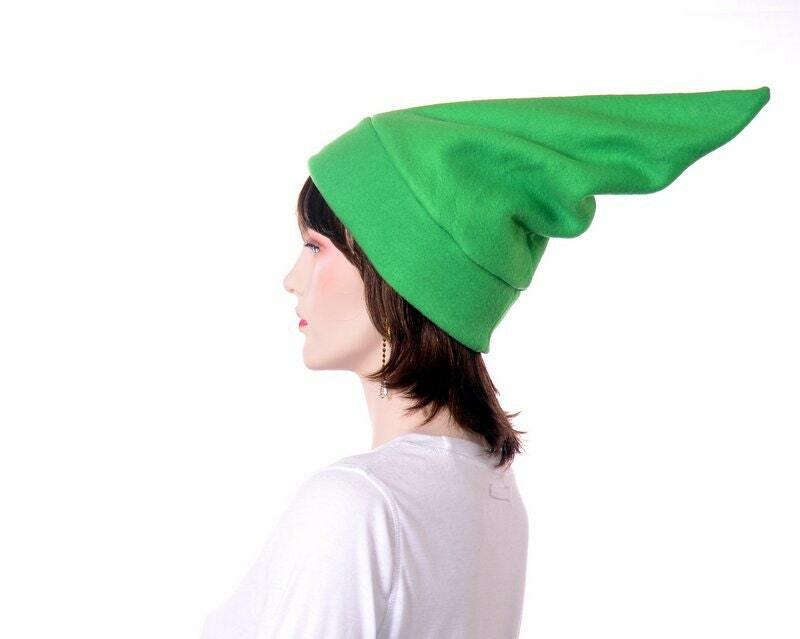 Green Elf Pointed Hat. 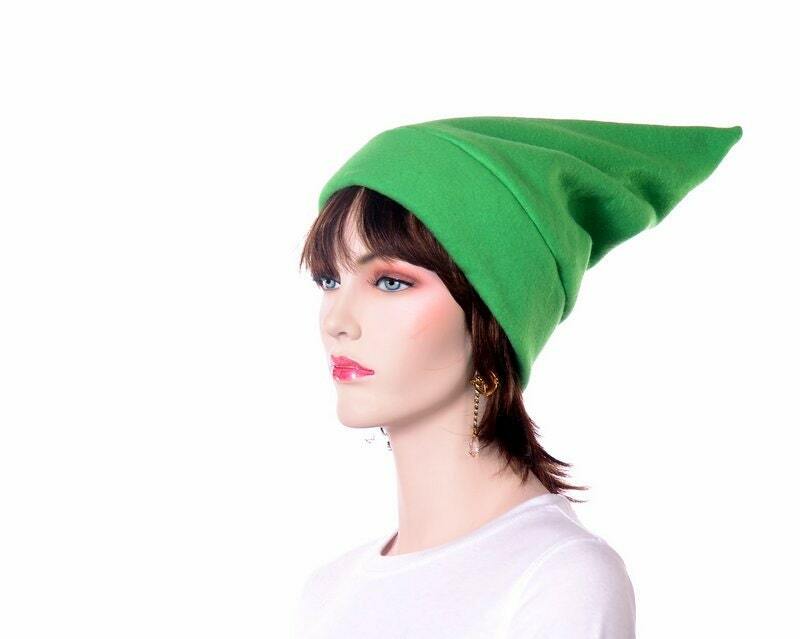 Long about 18 inches bright green pointed hat. 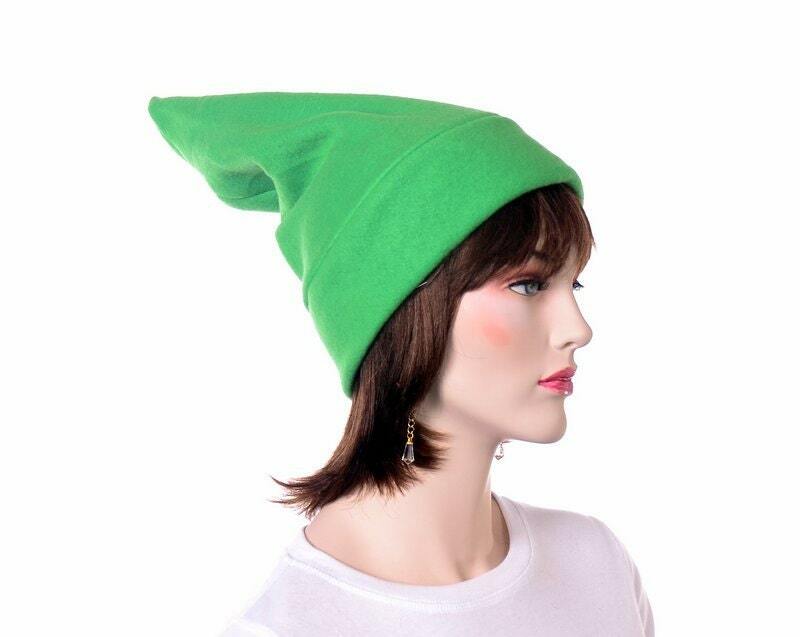 Green stocking cap with point. Fleece hat with a double thick headband. 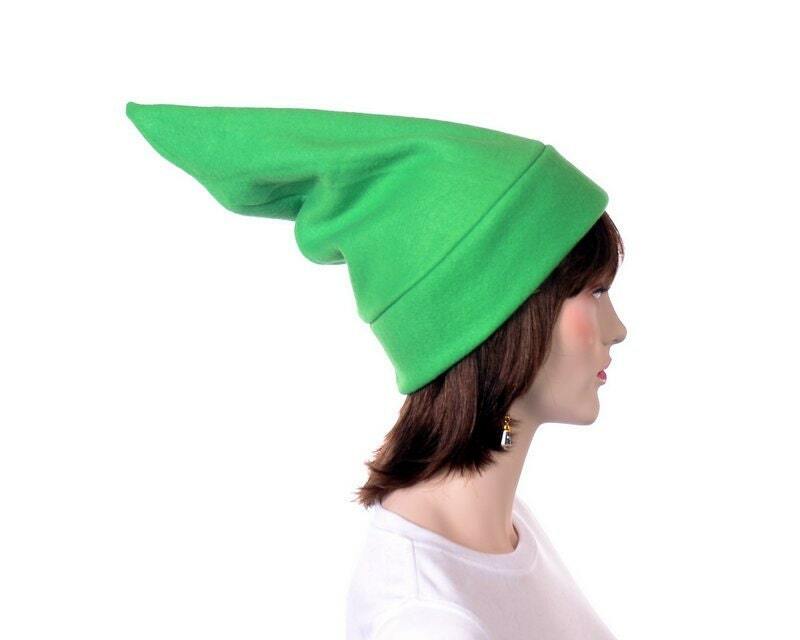 LARP elf hat. 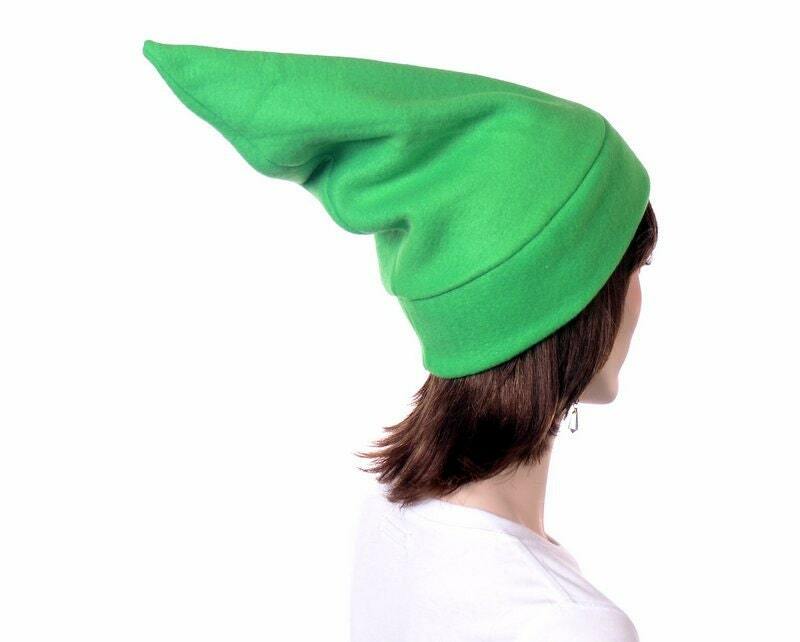 Elvish point hat. One size fits most adults (22.5-24 inch head) Stretchy fleece gives size flexibility. Pompom or tassel can be added at buyers request.